The rhythmic richness, the ever-renewed phantasy, the verve, the liveliness, the melodic invention of a prodigious imagination that are found in each work of these two masters make them the glory and the jewel of Brazilian art. The two masters Milhaud was praising so highly were Marcelo Tupinambá and Ernesto Nazareth, eleven of whose combined compositions he quoted in Le Boeuf sur le Toit. Seven of the eleven belong to the lesser known of the two. It was his maxixe São Paulo Futuro that opened the cycle of quotations, and the second tune is his as well. Viola cantadeira is one of the names given to the Brazilian country guitar. Roberto Corrêa, one of Brazils foremost violeiros and the leading authority on the instrument, tells us that viola, viola pinho, viola caipira, and viola sertaneja are its most common denominations, but its also possible to encounter it as viola de arame, viola nordestina, viola cabocla, viola de dez cordas, viola chorosa, viola de Queluz, viola serena, viola brasileira, etc. 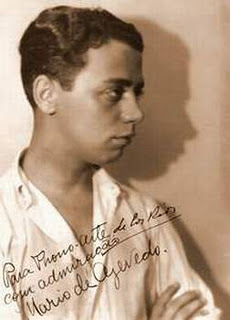 Marcelo Tupinambá composed numerous tunes with a country accent, the tanguinho Viola Cantadeira (or Vióla Cantadêra, as it used to be spelled) being one of them. It made its stage debut in the opereta sertaneja Scenas da Roça, written by Arlindo Leal. In Louis de Froments recording of Le Boeuf sur le Toit, Viola Cantadeira begins at 1:03 min. Listen to an excerpt. Having quoted Sections A and B of São Paulo Futuro, Milhaud quotes section B of Viola Cantadeira first. Section A follows at 1:22 min. 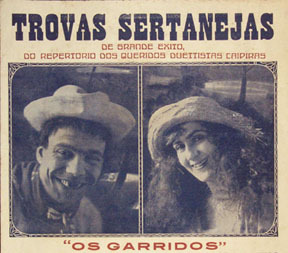 The flip side of the same disc carries Maricota, Sai da Chuva, another tanguinho composed by Tupinambá, staged in Scenas da Roça, and quoted in Le Boeuf. 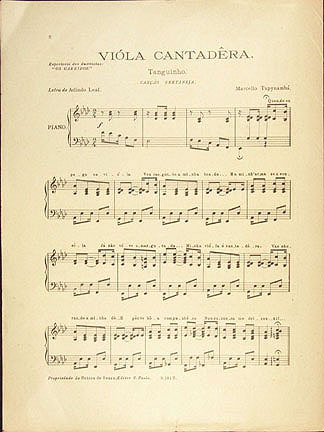 During the LP era, Viola Cantadeira was recorded by pianist Mário de Azevedo in the album Marcello Tupynambá na Interpretação do Pianista Mario de Azevedo (Sinter SLP-1090; 1956) and by singer/folklorist Ely Camargo in Canção da GuitarraObras de Marcelo Tupinambá (Chantecler CMG-2471; 1968). Chantecler (since folded into Warner Brasil) was a pioneer label in the sertanejo genre. Warner hasnt seen fit to reissue the Chantecler recordings on CD. Fortunately, vinyl collectors have taken matters into their own hands. 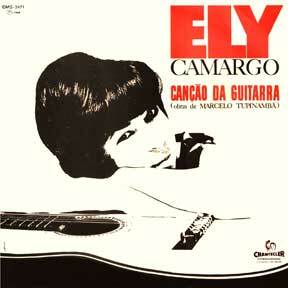 This audio sample was taken from Ely Camargos recording. 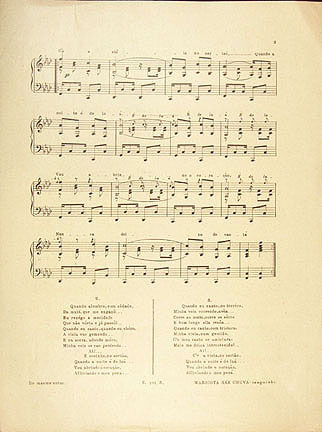 The Vióla Cantadêra piano score sold for 1,500 réis by Vieira Machado & C. carries the subtitle Canção Sertaneja and informs that the song was included in the repertoire of the duettistas Os Garridos. 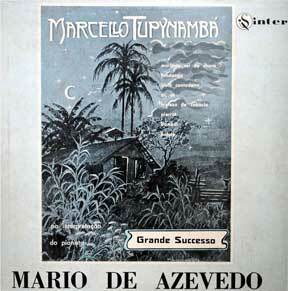 Only Tupinambá is listed as author, although Arlindo Leals name appears as original author of Scenas da Roça. Que não vorta e já passô!.. C'o meu canto se amistura.